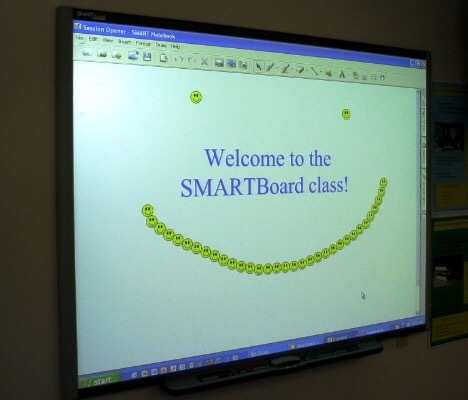 You are here: Home / Education / Interactive Whiteboards: A Hit or a Miss? Interactive Whiteboards: A Hit or a Miss? In one of my Voxer groups we have had a discussion about interactive white boards and their purpose and worth in today’s classroom. It seems that many schools are removing them as they are not seen as purposeful in a student-centered, device-centric classroom. I remember a short time ago as a teacher when these were so sought after. They were the everything device in a classroom! I would spend hours creating interactive flip charts that my students could interact with while in small groups. Students would self-check as the charts would make noises (a huge hit with eighth graders) and be multi levels. It took time and skill but was worth it, right? Now we are moving to 1:1. Students interact with the world at their fingertips. If we need something on the board, there is Airdrop, Reflector, and an iPad. Students can seamlessly share information in a much easier way. Teachers can too. The added bonus is the cost. For a $5000 interactive system, think of the number of classroom devices. We annotate, interact with, and have a completely engaging classroom where STUDENTS are making their meaning; students are creating; and students are learning. I think my mind is made up.